* One new in box, unused, vintage meter. 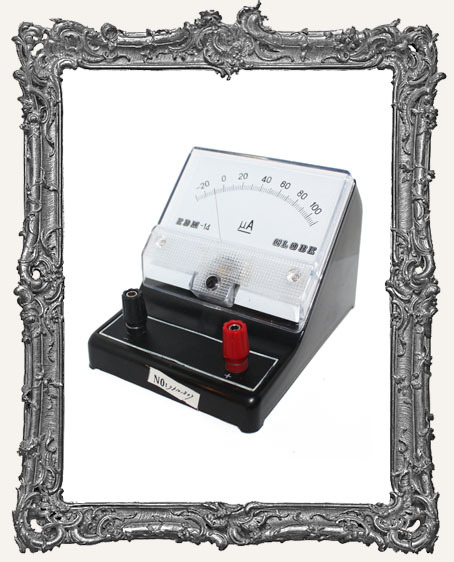 This meter would be awesome for assemblage art, especially Steampunk themed. It also looks extrememly cool as a display piece! * Measures approximately 3.5" tall with a base of 4" x 5.5". The bottom is flat, should you want to mount it to something. * Not sure if these actually work. They are being sold for art purposes. Limited supplies!